Once upon a time there was a girI named Brownilocks. She had curly brown hair and was extraordinarily clever. She grew up in Nice: a beautiful, colourful place with an azure sea, green pines, and yellow, orange and red houses. Brownilocks loved her hometown, but she also wanted to explore the world. She thought for a long time before deciding to leave the old city’s lovely cafés where she liked to sit for hours, the warm mediterranean, and the sun, almost always up in the sky. Nice offered all that was good about France, but also all that was bad. The food was a scrumptious mix of French and Italian cuisine, people knew how to enjoy simple pleasures, and there was a certain laissez-faire atmosphere that Brownilocks found both charming and maddening. Unfortunately, it was difficult to find a well-paid job outside of tourism and real-estate. 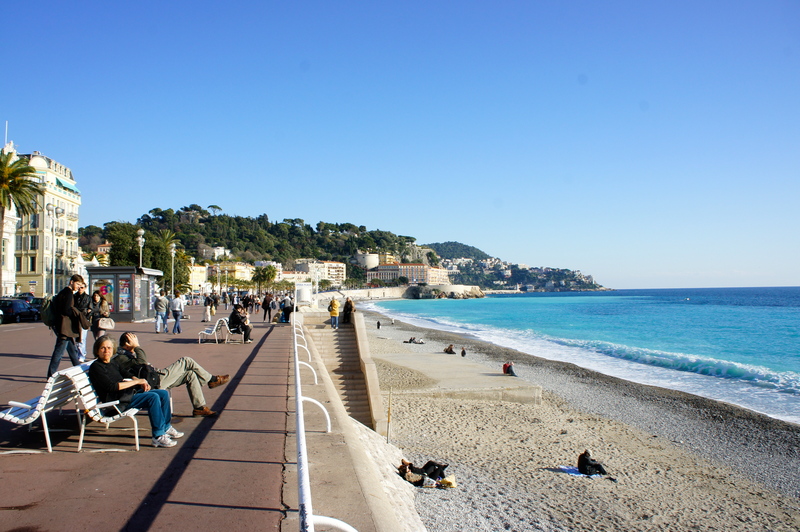 The population was rather old, for a lot of retired people moved to Nice to enjoy the sun. In the end, Brownilocks felt limited there. All the boys she knew were already in love with her, she lacked exciting prospects, and went to the same bars and cafés again and again. 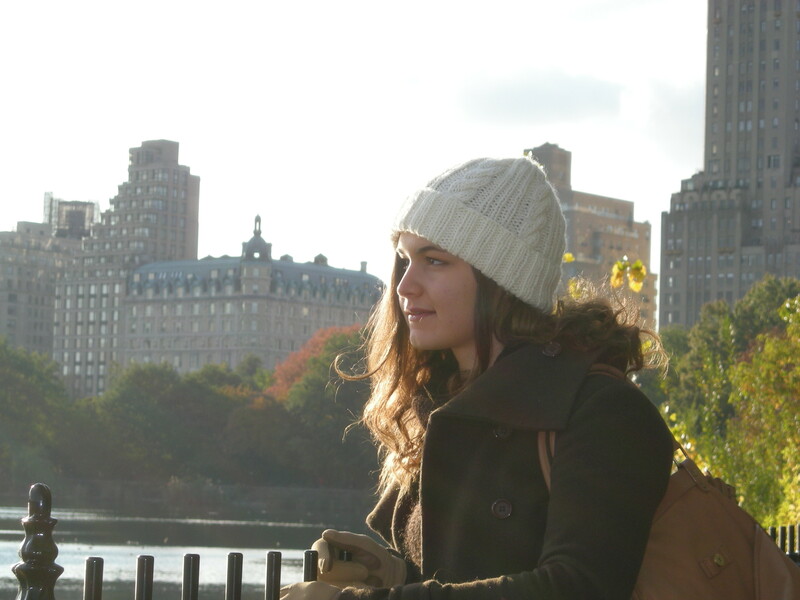 “This city is too small!” she exclaimed and skipped all the way to New York City. Brownilocks quickly fell in love with NYC and its bright lights, wide avenues, constant movement, and the creative spirit hiding in every corner. Food was everywhere, and in all variety. Brownilocks wanted to try every bagel, brownie, cookie, cheesecake, burger, pizza that the city had to offer. There was a little macrobiotic restaurant called Souen near Union Square where everything was green, healthy and a bit hippy. What a contrast with another of her favourite places to eat: a burger restaurant on 72nd avenue, near Central Park. There she ate giant hamburgers served with far more fries than she could possibly eat, and drank even larger margaritas. Brownilocks gained 8 kilos, which kept her warm in the cold New York winter. She explored so much there that she destroyed two pairs of shoes. She made friends easily: “I love your accent! I love Paris!” they would explain everytime she said something, even though she wasn’t from Paris. She often started the evening in a bar in the East Village and ended up on the rooftop of some hipster inviting her to his party at the last minute. New York never failed to entertain Brownilocks and filled her senses with wonder- she had limitless amounts of energy whenever she was out in the city. It was amazing to feel so alive. However, she soon realised she was going out too often, and starting too many projects at the same time, and wasn’t resting enough. Brownilocks needed to feel healthy and to go to sleep sometimes. “This city is too big!” she said after a year in New York. Brownilocks left what had become for her the cities of all cities and moved to Zurich. The peace of mind New York couldn’t provide, Brownilocks found in Zürich. A balanced and comfortable life, close to nature and at the center of Europe. There, Brownilocks earned enough money to afford a spacious flat, travels, and too many Apple products. She also had enough free time to write, go jogging in the woods, and go swimming in the lake and rivers. She didn’t need a car because public transport was clean, safe, and covered the whole city. People respected and valued the rules and were always on time, which Brownilocks found both maddening and peaceful. She loved to bike to work on a beautiful path bordered by trees along the Sihl river. She also enjoyed watching the seasons change in Zurich: white, yellow, and pink blossoms in spring, sunny summers, colourful autumn leaves and enough snow to go skiing in the winter. “Ahh this city is just right,” Brownilocks said happily. It made Brownilocks feel sad and anxious to imagine leaving her family, her new friends, and the city that had been so right for her. She had also been sad to leave her family and friends from Nice and then New York, but every life change had been for the best so far. Her family would always be her family, and the right friends would find ways to transcend both distance and time. Besides, she knew she could always come back to Zürich. She’d loved each city in a different way and they’d all let her explore new facets of her personality, to be a different person. The curiosity to find out what kind of person she’d become in Christchurch and the call of adventure with Prince Charmnick soon grew stronger than her chronic anxiety and indecision. And she really wanted to try and become a journalist. “Let’s go!” she said to Prince Charmnick. And that was just right, too. Thanks Tanvi :) That would be very cool if our paths crossed one day… who knows? I’ve seen your replies on Truth and Cake but have not stopped by until reading that you wrote a fairytale about Brownilocks. I too enjoy adventure and have spent my life seeking it out as much as possible. I had to chuckle as I too wanted to state “I love Paris” but truthfully, I adore France. I’m actually going there in April for my 35th birthday with my two sisters. After a few days in Paris, we’re hoping to take the train south to Nice. Any places you can recommend? Thanks for your modern rendition of a fairytale, it’s inspiring seeing someone globe trot while following their heart the whole way. Be well, Cecile! Thank you so much Kristy for your lovely comment. Going to Paris for your birthday with your sisters: how exciting! I’m about to visit my sister in Australia and I can’t wait to share a little adventure with her before starting my new life in New Zealand. I came along here from Truth and Cake too! I live in New Zealand, although it’s Auckland rather than Christchurch, and am happy to share that I think our country is beautiful and the people are too. The addition of Brownilocks and Prince Charmnick will only add to our appeal :-) What a lovely post, and welcome to NZ! This was gorgeous. I loved that the fairy tale didn’t just end with finding your Prince, but on going on further adventures together :) Love it! Yes! Funny we had a similar idea and then decided to share it on T+C! I loved your post: you shared some very profound parts of you and yet, it was a delightful read. Well done! I loved Brownilocks’ adventure story and it is true the right friends really do transcend distance and time! I hope she is enjoying her new changes. I found your post on Truth and Cake and I am now ready to visit Zurich. It sounds like the kind of place that washes water before using it. Thanks for the post and good luck in Christchurch. Thanks for stopping by and for your well wishes, Allan. Beautiful beginning to your life. You’ve raised my desire to visit Nice and relax for a week or so. I owe my family a trip out of the states. When is the best time to visit Nice? Huh? Which cupcakes? You’re right, drinking tea is more fun with someone else. God luck with your KitKat, whatever that it! Such an adorable way to communicate something so profound! Just visited Istanbul and I’m so curious to visit Zurich now! Looking forward to following what Brownilocks discovers in NZ! I’m sure you’d enjoy Zurich. I’m writing a post about what to do for 2 days in Zurich, I hope it’ll convince you to come and visit! Brownilocks a le don de conter des histoires, non ? des histoires vraies qui la font traverser les mers et les montagnes, les villes à gratte-ciels et aux maisons anciennes. Histoires qui l’emmènent dans un autre hémisphère, celui de Charmnick et où on se réjouit de la suivre :) quelle belle découverte que celle de ton blog, Cécile. Pour couronner le tout, le brouillard s’est levé ! Merci. Brownilocks – I like it. Though..Christchurch…maybe not such a good move. I just retrieved your comment from my spam folder. Thanks, Rose. May I ask why you think Christchurch is not such a good move? I’m realising that the world is FULL of unique towns & cities, and I don’t want to curtail my exploration of them too soon. Perhaps if I stay in the same place my personality will stay unchanged and stop developing? I don’t want that. Good luck with the Christchurch transition – I hope it is wonderful for you! Yes, the world is full of unique places and it’d be a shame to stop gaining new perspectives on ourselves too soon. I also feel like I could be happy in lots of different places. In the end, the way we feel inside is more important than what’s outside. I’m also attracted to the excitement of big cities, but I’ve found myself happier in sizable places. Thanks for your well wishes Claire, the big move is coming up very soon! Fascinating story! I would enjoy traveling and would like to do it more. I took a short 3-day vacation while going to daughter’s wedding. It was nice to get out and see a little different scenery and do things a bit differently, even though I was only a couple of hours from home. Seems to be happening different times with different people. I imagine it is the way I phrase something as that’s part of what the spam keys on. I absolutely love your storytelling here. Keep adventuring, Brownilocks. You’ll go far in both travel and journalism. Your writing is positively captivating! Thanks for chirping in, Mackenzie. J’adore les contes de fées! et comme le tien avait déjà bien commencé, j’adore le relire depuis le début! la suite sera d’autant plus épatante parce que Brownilocks sait s’adapter à son environnement et à de nouveaux amis. et puis, j’aime bien le nouveau look du blog aussi! ;-) une nouvelle vie, un nouveau blog, une nouvelle aventure! Il faudra bien s’adapter effectivement et tout n’est pas aussi rose que dans un compte de fées mais je suis globalement super contente de ce changement. I loooove this!!!! It makes me feel warm and fuzzy all over. I’m also envious of all the places you get to call home. I’m so glad it made you feel warm and fuzzy, Jill, that’s a nice compliment! What a magical fairy tale! I’m such a sucker for a good happy ending. Not that this tale is anywhere near over, but with the amount of love, hope, and adventure, this fable is off to a fabulous start. I can’t wait to step into your beautiful storyland in just a few short weeks. :) P.S. Love the new look of the blog! I think this sounds less like fiction and more like a life story! Hahaha! Loved it Brownilocks and the photos! What a wonderful fairytale, I’ve been to Nice and it’s beautiful. Spent time in Zurich and loved that too. Met you in New York and fell in love with Brownilocks. Now how on earth will I be able to share Chrischurch with you? You will write, write, write and I will read, read, read…and maybe…one day I will be able to add Christchurch to the places I’ve been. Best of luck Brownilocks and Prince Charmnick. Your are indeed a wonderful twosome…luv! We would love to have you in Christchurch, Libby. In the meantime, I’ll make sure to write often enough and share photos. I love to have you as my well-wishing reader from New York. Thank you for your comment. Wow, Cecile. You are so lucky to be on such sweet adventures. I always wondered how would that feel like…spending your childhood in such a dreamy city. And New York is a paradise. Atleast, that’s what I learnt from the movies. Such an exciting life. I always wanted to go on adventures such as yours. I sometimes dream about pausing my life right here and getting off the work and career train to go off to Paris, New York, London. I had this weird fascination since I was a kid. Unfortunately, I have to focus on my career and I’m apparently too young. At 20, I’m still a kid at home. Anyway, Zurich sounds like the perfect place to live. It has everything that I always wanted to try. As usual, I love your writing style. Brownilocks sure needs to be talked about and written about in the next 100 years to come just like our good old goldilocks. This is an adorable story! I’m excited for you and this new adventure with your prince. Keep us posted! I agree with Rian, that picture of Zurich is postcard worthy and makes me want board a plane! You’ve lived in some seriously gorgeous cities, Brownilocks! I love the way you told this story–when you look back on all of the great places you’ve been, Christchurch seems like a no-brainer. It’s just one more fantastic adventure for Brownilocks. 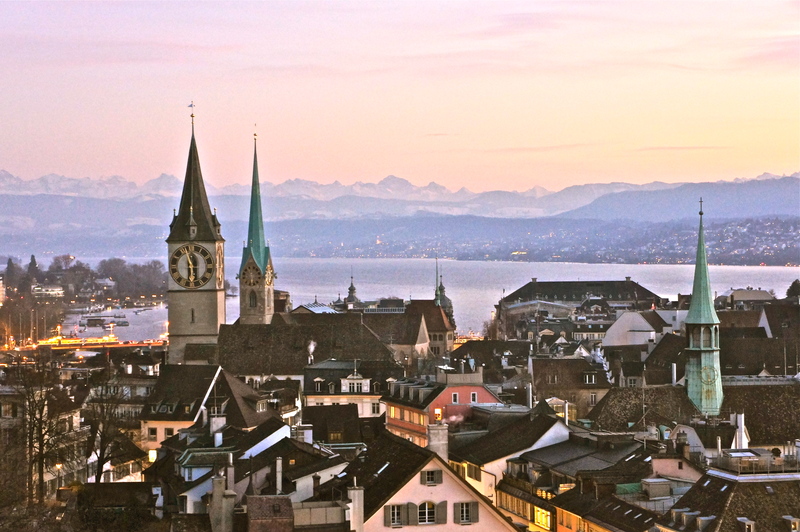 Although, that photo of Zurich is giving me heart palpations it’s so beautiful. Can’t wait to read the next installment, after you’ve gone on a few more adventures! Merci Rian. I told you Zurich was a beautiful city worth a visit :-) I’m sure you’d enjoy it!